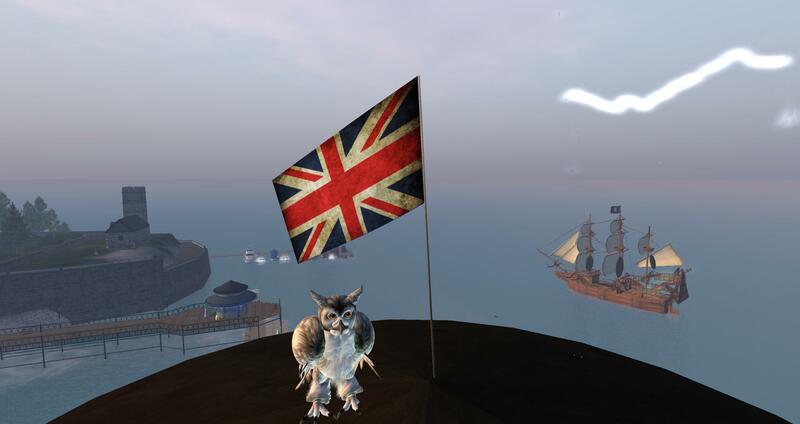 Today I went to visit the well-known Britannia Village & Seaside destination in Second Life which is full of nice areas to visit like Pier 7Seas Fishing, the seaside, The Tower of London, Stonehenge and more. 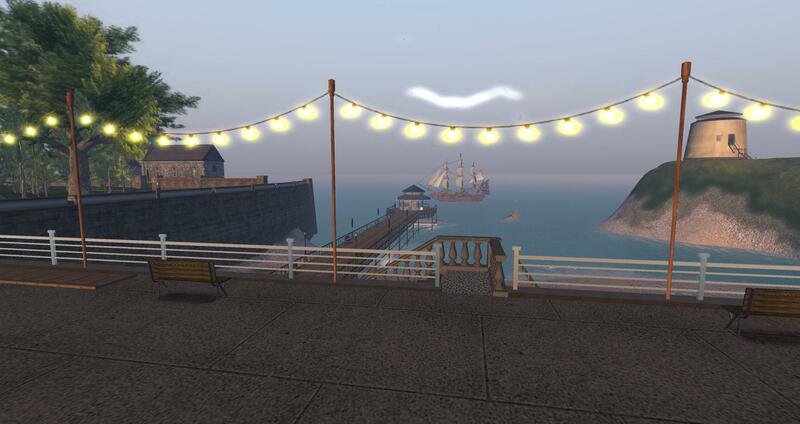 It’s a wonderful location to visit in Second Life and I strongly recommend everyone to visit the Britannia Village & Seaside in 2014. See more snapshots here on my SL Flickr stream. Today I went to visit The Chapter Four destination in Second Life which is a monthly shopping event that happens on the 4th of every month which runs for 2 weeks. There are four rooms/sections featuring different themes of the sale. The Chapter Four is very popular at the moment and it’s on the Featured Events shown on page 2 of the Second Life Destination Guide. Low prices and great stuff. Today marks the start of the new year and the start of my new 2014 owl adventures around Second Life which is going to be fantastic. Today I went along to Moving islands build at LEA20 which reflects on the topic of “In the belly of the Whale”. Reflect harder!. The Linden Endowment of the Arts is an official Linden Community Partnership program whose purpose is to help new artists, cultivate art in SL, and foster creativity, innovation, and collaboration within the art community. The LEA Round 5 has officially ended and the new Round 6 will start in February 2014. Needed > Calling for Volunteers – Be part of the LEA team and make a difference in 2014! Stay tuned for further announcements on the LEA Blog soon. At LEA20 there is a chance to create your own whale story in photos or as machinima. Explore “Moving islands” at LEA20. Reflect on the topic “In the belly of the Whale”. Reflect harder! Now do us a film, a picture or a photo story at LEA20. Wear own builds or use existing ones from the sim, create a short photo story or a 120 minute epic film, sing, shout or shoot a harpoon into the last whale! Perhaps you may decide to feel like being in any special kind of belly or to produce your work in that special Cadavre Exquis look? Special russian dictator bellies floating through your mind? NOW you are ready to go! Give us the honor and donate a work to our interactive extravaganza! All artworks entered will be shown on whale.boxfolio.com/ and also at the end of January for a party in SL. Stay in touch for more infos about the event and special rewards!